Early irritability can be a precursor to common childhood mental disorders. Identifying “when to worry” is challenging because infants’ regulatory capacities develop so rapidly. Our study is hoping to find scientific evidence beginning in infancy that will help us distinguish the normative irritability of early childhood from atypical irritability patterns. We focus on irritability because it is a core element of developmental psychopathology, can be measured reliably in infancy, and early high levels and dysregulation are associated with increased probability of lifespan mental disorder. We will use a neurodevelopmental framework to characterize typical and atypical brain and behavioral patterns from infancy to preschool age, including how infant irritability shapes and is shaped by interactions with parents. The neurodevelopmental approach emphasizes tracking longitudinal patterns, considering brain and behavior development in tandem, and accounting for the influence of interactions with the nearby environment on developmental adaptation. Generating reliable markers or patterns of irritability that identify those infants at highest risk for development of mental disorders lays the foundation for targeted intervention at the earliest phase of clinical risk. 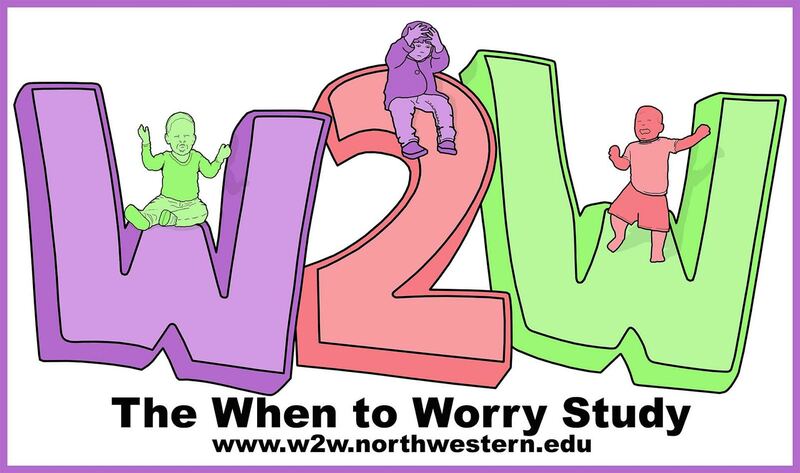 For more information on the science behind When To Worry, please contact Project Coordinator Martha Neary, on 312-503-3330, or martha.neary@northwestern.edu.